Maybe all this talk of baby knitting patterns and getting all excited about knitting for that new little loved one has intimidated some of you. Well don’t be, easy knitting patterns will be your solution. You may not want to get too involved in a complicated knitting pattern at this stage of the game. But you also don’t want to be left out in the cold. 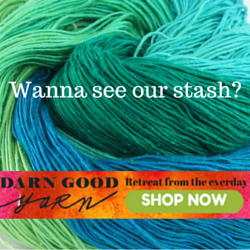 Everyone else is knitting all around you, why not you too? The trick to this is to start out with very easy knitting patterns. Usually a baby blanket will do very nicely. And if you are interested I have some baby blanket knitting patterns for beginners free – and easy that will help you on your knitting journey. And get this, you can make an entire blanket with one single stitch. If you can learn to “cast on” which means get the yarn on the needles ready to start, then you can make a baby knitted blanket. The first stitch every knitter learns is the “knit” stitch and I have a tutorial on this page to give you some help. Baby Blanket – Knit Pattern 60 Quick Baby Knits: Blankets, Booties, Sweaters & More in Cascade 220™ Superwash (60 Quick Knits Collection) Precious Knit Blankies for Baby (Leisure Arts# 5500) Our Best Knit Baby Afghans (Leisure Arts #3219) Our Best Knit Baby Afghans, Book 2 (Leisure Arts #5124) Quick Knit Baby Afghans (Leisure Arts #2894) Knit Baby Blankets! You may be interested in having a look at some other baby blanket knitting patterns. I have found and written about several more Baby Blankets and I’m sure you’ll find something special you’ll like. Hold the needles in your two hands, hold the needle with the cast on stitches in your left hand and the empty needle in your right, hold the dangling yarn from your ball of yarn also loosely in your right hand. Next slip the tip of the right needle into the back of the first stitch on the left needle, take your right hand with the yarn and wrap it around the tip of the needle now in the back of the stitch. Now gently pull the wrapped yarn through the stitch and let it slide onto the right needle and let the stitch that was on the left needle now slide off the needle. Read that a few times. It is not complicated. The idea is that you are working the stitches off one needle onto the other needle and then you turn the project over, so that the stitches being knitted are always on the left needle. You work left needle to right needle. And when you do one row after another of knit stitches it is called the garter stitch. And it is beautiful. Very squishy and when you use really soft wonderful baby yarns it is superior, and makes the most wonderful easy knitting pattern. So don’t let anything stand in your way of making your first baby knitting pattern. Just start with an easy knitting pattern. You will love it! A very popular gift idea for new babies. If our focus is on easy knitting patterns then we must include baby booties. Not only are they fun and quick to complete. They are a perfect traditional baby gift. The follow booties are considered easy. Many people really enjoy knitting booties, every new mother certainly enjoys receiving baby booties for her new little one. 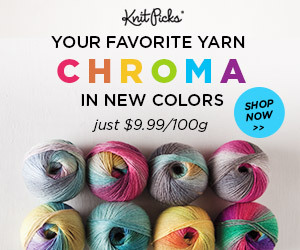 But you may be intimidated by using the four or five double pointed needles called for when knitting socks. Well don’t worry you can knit many baby bootie patterns on the regular two needles you are used to.. I wrote this article all about two needle knit baby booties. This article includes tons of help for new knitters and how to knit booties on two needles. There is even help for left handed knitters. You’ll enjoy this. ← Best Free Knitting Patterns For Baby- If Its Free Is It Not As Good?